A little background about the evolution of a city, gleaned from the columns of a long-defunct newspaper. Andrew Jackson Meyers was a storekeeper who’d applied for a homestead grant in the San Luis Rey Valley, near the old mission. Poultry wasn’t the only business he found profitable. Subsequent “Rays” columns report this “merchant from San Luis Rey” dealing in real estate. Along with some business partners including Cave Couts and J. Chauncey Hayes, Meyers set about developing a new town. In the process, they developed a new name, suitable for their location by the sea. Meyers sought to make the new name legal by applying for regular mail deliveries to the new community. In the meantime, he and his partners were already using it, and the local media of the day picked up on it. 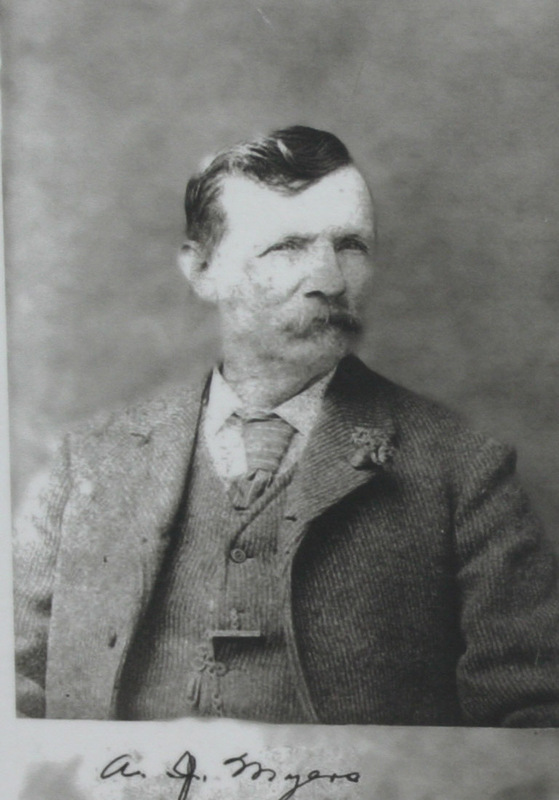 On May 28, 1883, the U. S. Postal Department granted Meyers’ application, designating him the first postmaster of Oceanside, California. Sources for this post included historic San Diego newspapers, the website for the city of Oceanside, and the books City of San Diego and San Diego County: The Birthplace of California, by Clarence Alan McGrew, and San Diego County Place Names A To Z, by Leland Fetzer. Join the Escondido History Center for their 4th annual Adobe Home Tour, Sunday, October 5 from 11 a.m. to 4 p.m. This year’s tour includes a ranch house (Bandy Canyon Ranch) and suggested finale at Hacienda de Vega restaurant, which was originally one of the first mid-century adobe homes in the area. Tickets $25 in advance, $30 day of tour. For further info visit http://www.adobehometour.com/ . Escondido Public Library will host Escondido’s Surprising Connection to Balboa Park’s 1915 Panama-California Exposition, presented by Dr. Michael Kelly on Tuesday, October 21, 2014, at 6:00 p.m. in the Turrentine Room of the library, 239 South Kalmia Street, Escondido, California 92025. Kelly, President of the Committee of One Hundred and editor of Balboa Park and the 1915 Exposition, will also reveal the surprisingly significant and historic role the City of Escondido played in the planning of the 1915 Exposition. Sponsored by Escondido Public Library’s Pioneer Room Friends, a support group dedicated to preserving and promoting Escondido Public Library’s local history and genealogy archive. Talk is part of the Friends’ annual meeting and will appeal to all local history enthusiasts. Library programs, events, and services are free and open to the public. For info contact Librarian and Archivist, Helene Idels at 760-839-4315 or visit http://library.escondido.org/ .